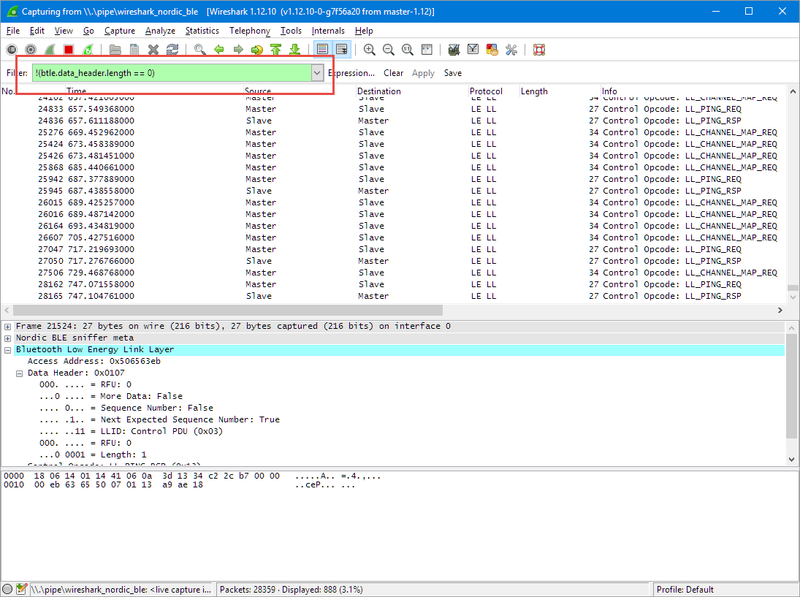 In this article I describe the needed steps to record and analyze BLE communication packets with the Adafruit Bluefruit LE Sniffer and Wireshark. 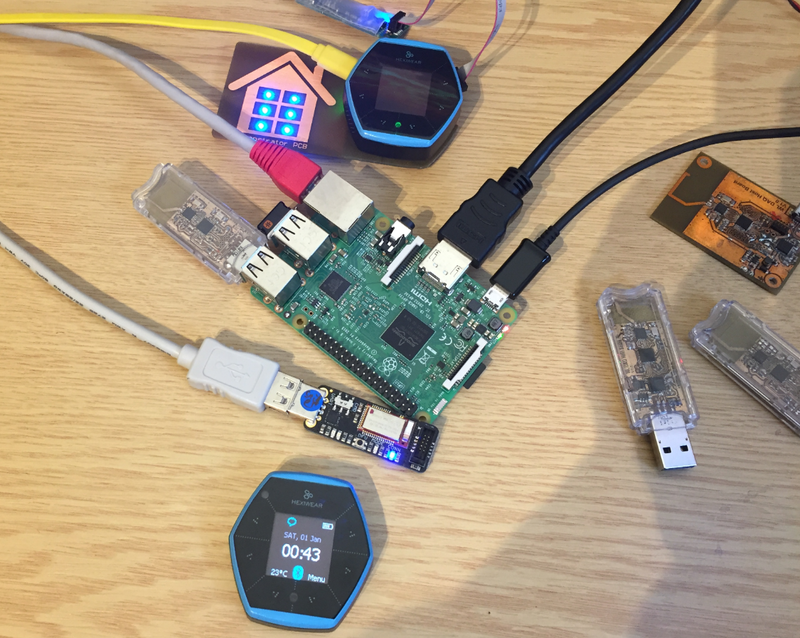 While I’m using a Raspberry Pi and with the Hexiwear, the steps could be easily applied to any BLE communication. 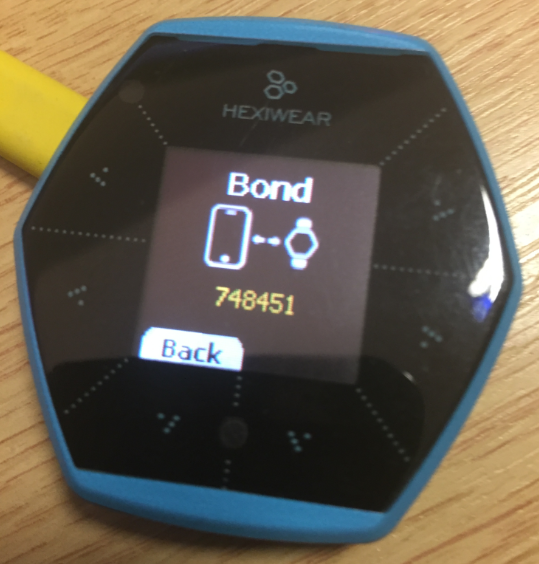 As a special point, I’m sniffing a connection with authentication between the Raspberry Pi and the Hexiwear. 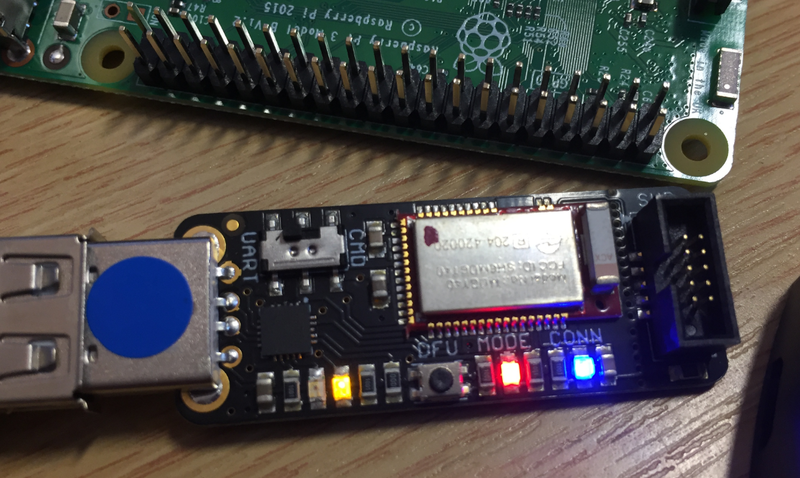 The Adafruit Bluefruit LE Sniffer is a small dongle with serial interface featuring a Nordic Semiconductor nRF51822 BLE module (MDBT40). Adafruit has a module available with a sniffer firmware preloaded (https://www.adafruit.com/product/2269). 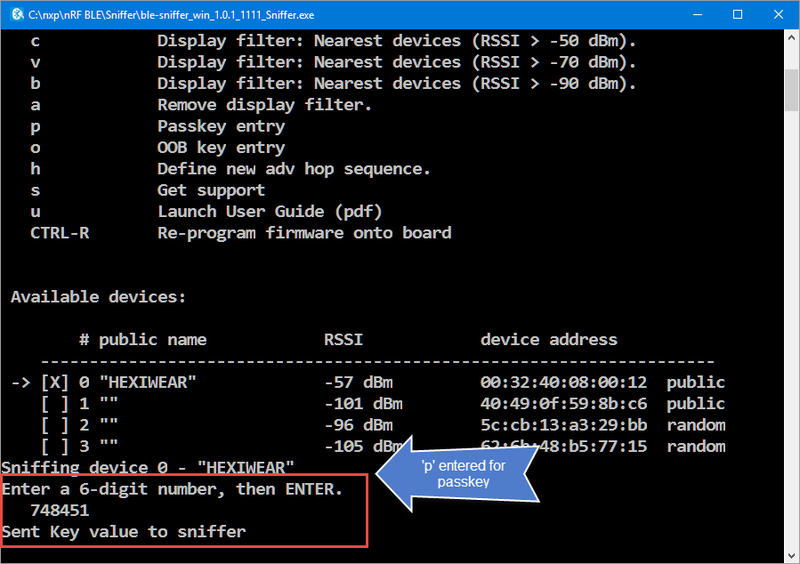 Nordic Sniffer application (sorry, Windows only): http://www.nordicsemi.com/eng/Products/Bluetooth-low-energy/nRF-Sniffer. For Mac OS X and Linux see the Adafruit page using the Python API. In order to be able to sniff an encrypted/authenticated connection, it is important to keep the following steps in exact the order presented! 💡 IMPORTANT: the sniffer will report “! !Your firmware is outdated!!”. Do NOT upgrade the firmware! Enter that code first in the sniffer program. For this, enter ‘p’ followed by the passkey. 💡 Note that this needs to happen rather fast, as otherwise the pairing will run into a timeout. You might need to try this several times until the sequence works. 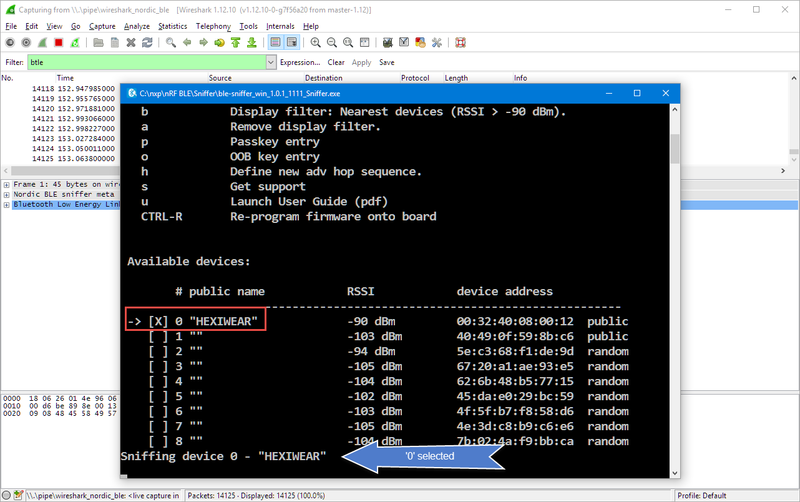 With this, the sniffer program and Wireshark can listed to the encrypted data packets. The 0x03 is the command for writing date/time, followed by 0x04 with the length of the following time (seconds since 1970): 0x585ae622 (data is sent in little-endian). 0x585ae622 (or 1482352162) is 21-Dec-2016 20:29:00 (see http://www.epochconverter.com/) which indeed is what showed up on the Hexiwear :-). 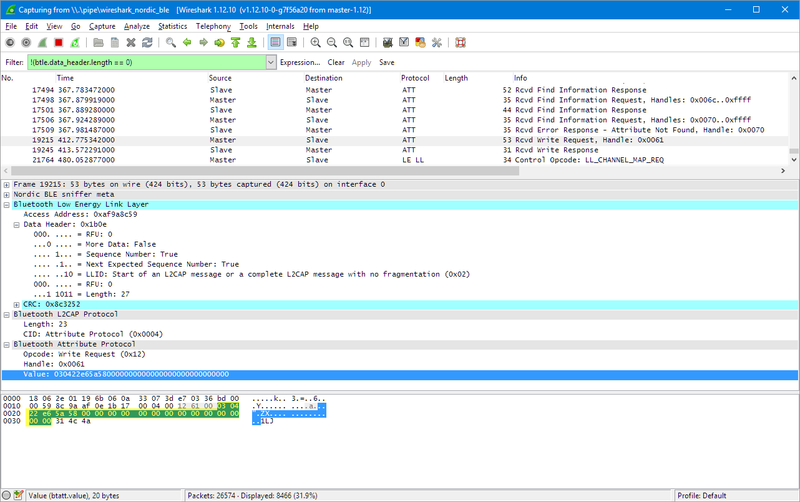 Sometimes it is all about the right tools: like having a logic analyzer to see what is going on with a wired bus like SPI or I²C, a packet sniffer is incredible valuable to understand a wireless protocol. 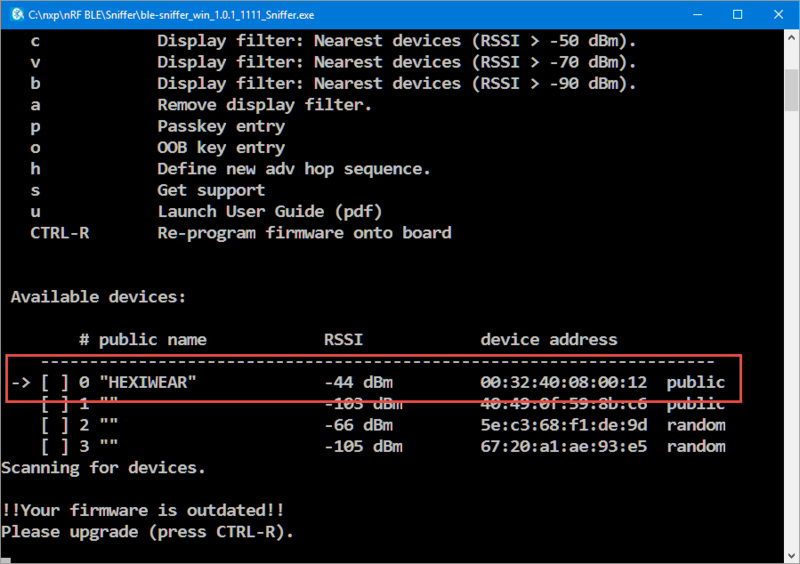 With the help of the Adafruit Bluefuit LE Sniffer and Wireshark I’m now able to inspect and see the encrypted packets exchanged between a Hexiwear and a Raspberry Pi and reverse engineer the protocol used :-). 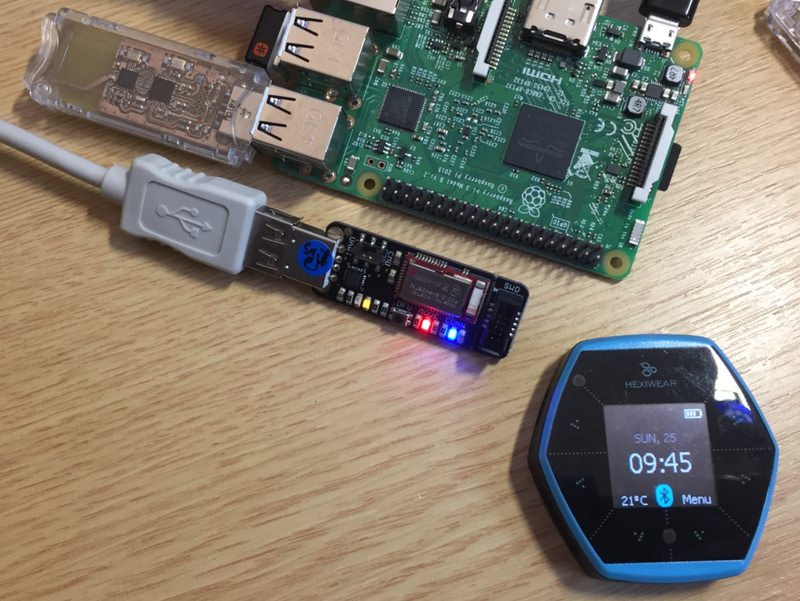 This entry was posted in Adafruit, ARM, Boards, CPU's, Debugging, Embedded, Hexiwear, Kinetis, NXP, Raspberry Pi, Tips & Tricks, Tutorial and tagged Adafruit, BLE, Bluefruit, Bluetooth Low Energy, bluetoothctl, Bluez, Debugging, gatttool, Hexiwear, Linux, Nordic Semiconductor, pairing, software project, technology, Tips&Tricks, Tutorial, WireShark by Erich Styger. Bookmark the permalink. 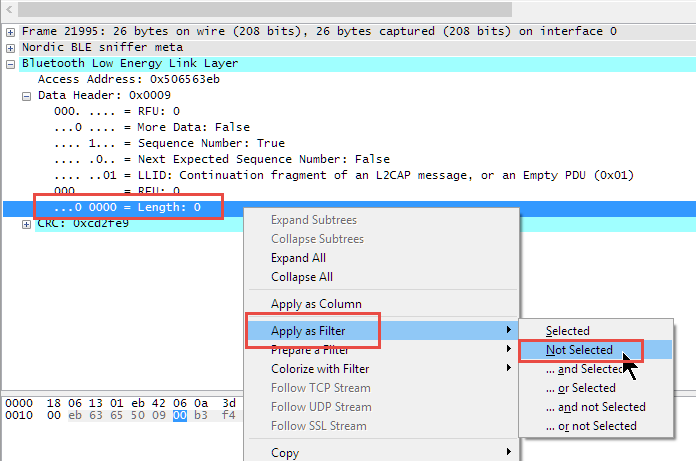 You jumped over how to implement Wireshark, going straight from selecting the device in Sniffer over Wireshark configuration and connection, to altering filter settings. 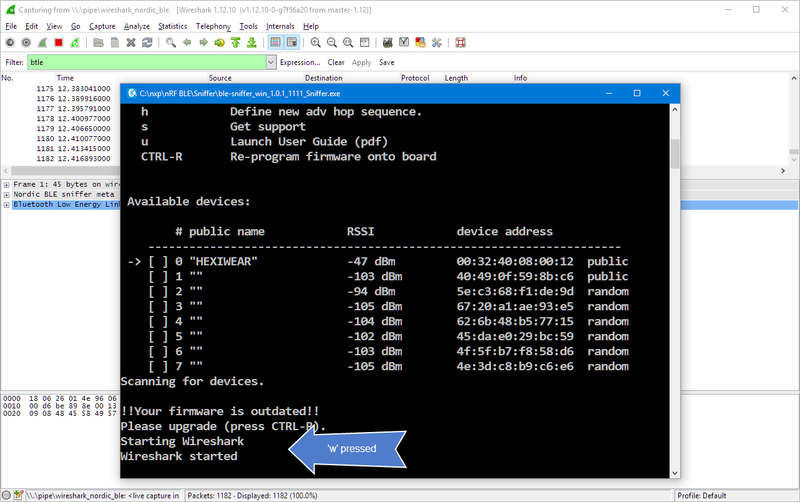 I ask because I don’t see the device in my Interface List and wonder if I am missing a step? 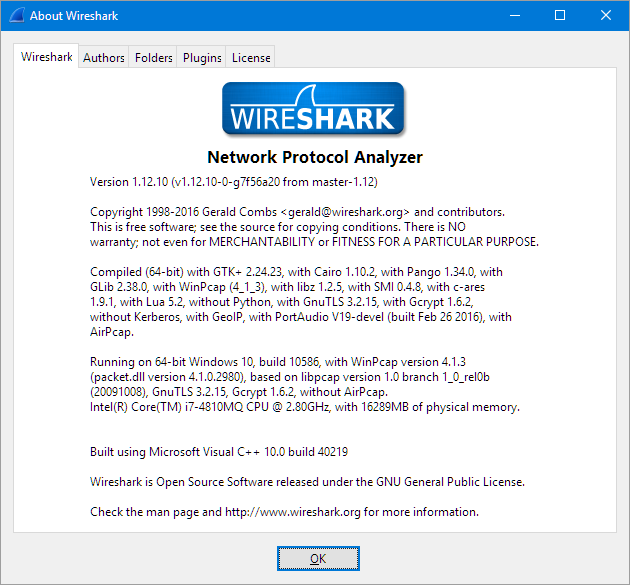 you have to use the exact version of Wireshark listed in this article. Plus the Adafruit BLE dongle has to be recognized by your system. 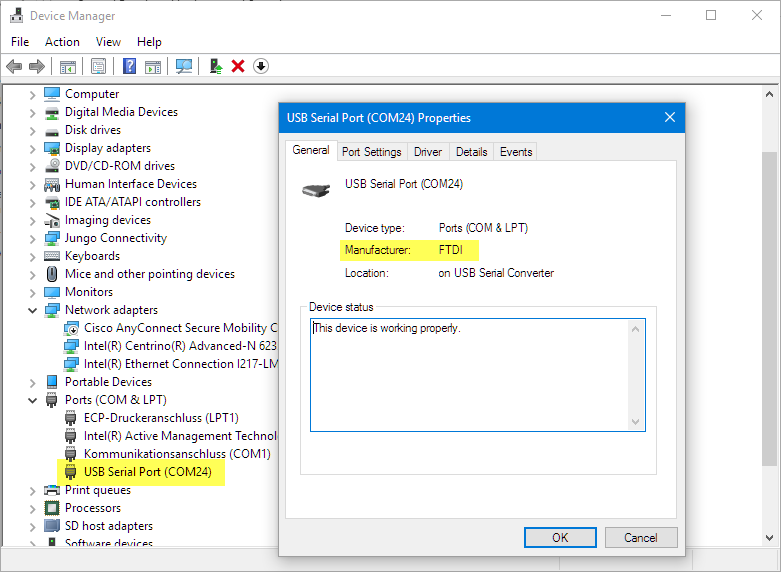 Make sure you have the proper serial drivers installed and it shows up in your device manager with a virtual COM port. Yes, the hardware certainly supports this, but I have not done it that way. Running it on a PC host was the easiest way to do it.